This weekend, I attended an education-focused talk - hosted by LeVar Burton - as part of Chicago Ideas Week. It turned out to be a very thought-provoking and rainy start to the weekend. 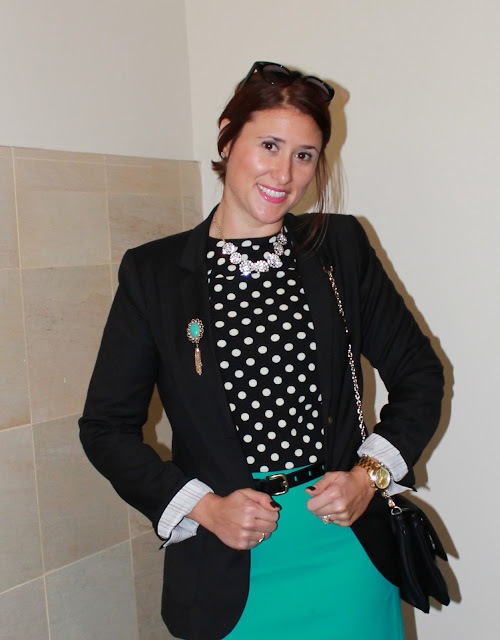 When cataloguing the outfit details below the pictures, I realized I'm wearing a whole lot of items. I love all the layers because it gives me more of an opportunity to wear and show you more of my favorite pieces at once. I guess I'll just have to get used to cold-day outfits taking a lot more time and typing to identify! Like this new pencil skirt and polka-dot sweater. As I said, it was pretty rainy, so our stairwell was the driest place to take pictures in a pinch. Hope you had a great weekend. My husband and I left promptly after the talk for a fun weekend in Milwaukee to celebrate our one-year wedding anniversary. 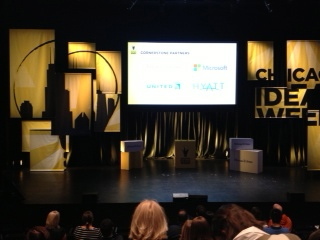 The stage for the Chicago Ideas Week presentation. I'm a sucker for anything with polka dots so I'm absolutely in love with this top. It looks perfect with that necklace too! 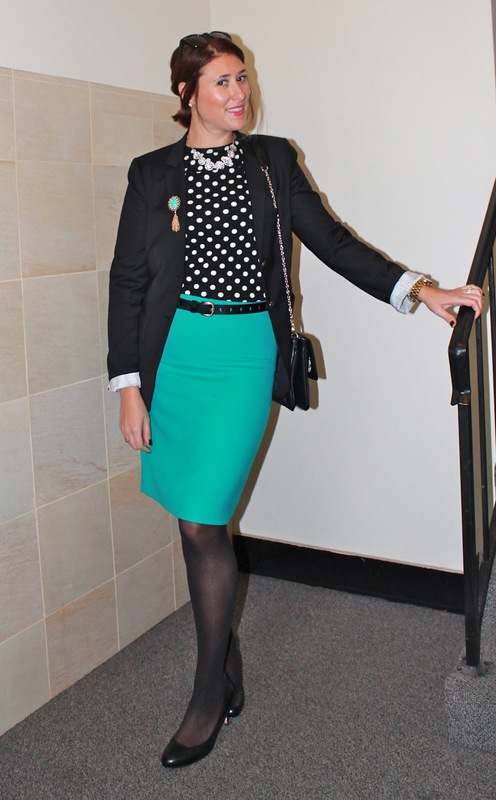 And the pop of color with the skirt is fantastic. 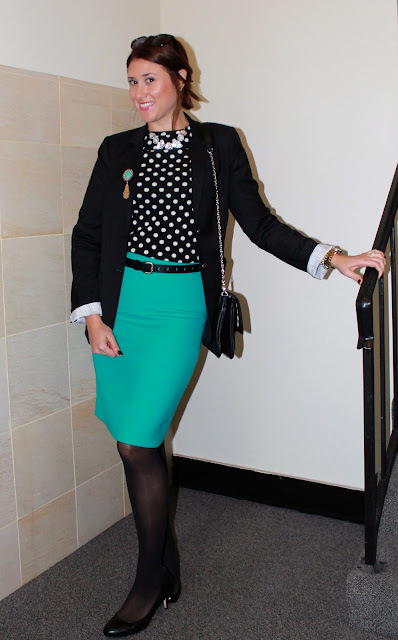 A great professional look that's still fun!